At Identità Golose Milano, the restaurant is open at lunch from Monday to Friday, from 12:30 PM to 2:30 PM. The lunch menu has been designed by our resident chef Alessandro Rinaldi under the supervision of Andrea Ribaldone: an attractive business lunch for 35€, with the option of ordering à la carte. Every week, from Wednesday to Saturday, from 7:30 PM to 10:30 PM, we will have our guest chef, selected among the main personalities in the Italian and international culinary scene. This is a great chance to live a unique culinary experience at the cost of 75€ for a 4-course meal, wine pairing and entrées included. Take a look at our schedule and book your dinner! Every Monday and Tuesday, from 7:30 PM to 10:30 PM, our customers will be able to choose from an á la carte menu created by Andrea Ribaldone and Alessandro Rinaldi. The offer will hinge on dishes that already became classics at Identità Golose Milano, such as the Spaghettone Monograno Felicetti in its several interpretations and the Milanese Identità. Each week, the chefs will also devise some new special dishes that will complete our offer. Finally Franco Pepe’s pizzas will be available at dinner, and Gabriele Tangari’s desserts will close the meal on a sweet note. Ugo Alciati in the kitchen and his brother Piero in the dining hall are the heirs of an extraordinary culinary Piedmontese story: the one of Guido and Lidia Alciati, who in 1961 founded the restaurant Guido in Costigliole d’Asti. The two were undisputed pioneers of a souldul Piedmontese high cuisine, full of the riches of their land. 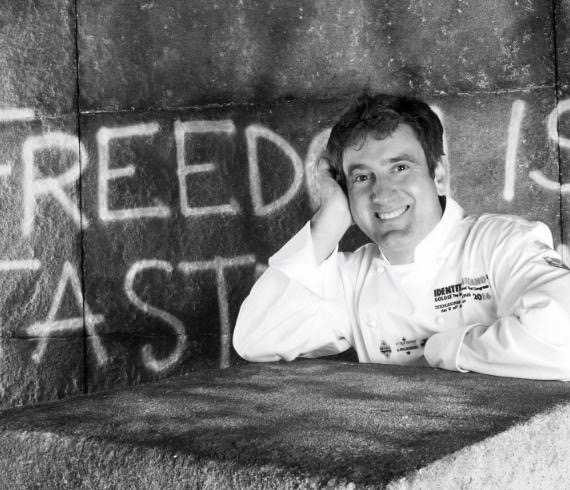 Today the restaurant is part of the amazing Fontanafredda estate in Serralunga, but for a few days Ugo Alciati will move his kitchen to Milan, winning the hearts of via Romagnosi’s customers with that exquisite balance between the classical and the modern world which made him a beloved chef, by the critics and the public alike. Easter has always been a holiday to appreciate the joys of dining to the fullest, gathering around the dinner table to celebrate sharing and conviviality. 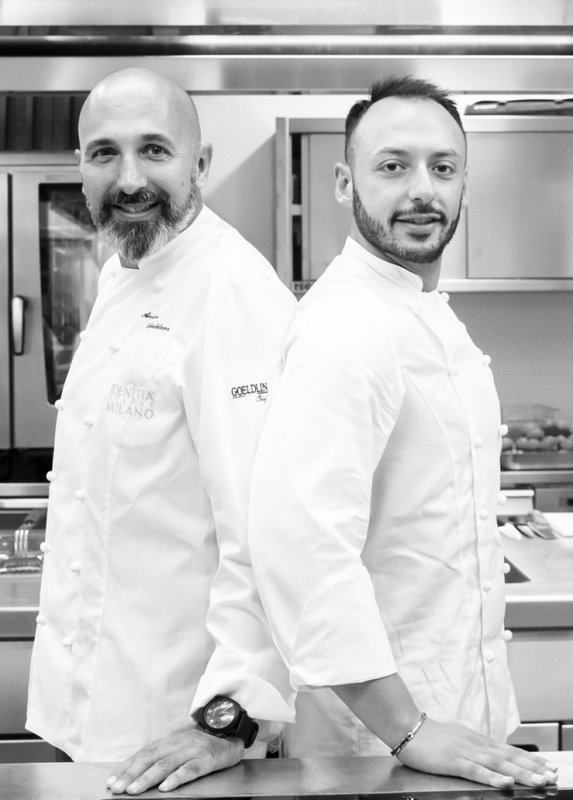 On Sunday the 21st’s lunch in via Romagnosi, chefs Andrea Ribaldone and Alessandro Rinaldi will cook an original menu, specifically designed to celebrate Easter in the best way. The menu, designed by chefs Andrea Ribaldone and Alessandro Rinaldi, ranges from Identità Golose Milano’s classics, such as the Spaghettone Monograno Felicetti in its several interpretations and the Milanese Identità, to Franco Pepe’s pizzas, to Gabriele Tangari’s desserts to close the meal on a sweet note. Each week, the chefs will also devise some new special dishes that will complete and enrich our offer. Last year Luciano Monosilio, who’s run for several years Alessandro Pipero’s starred restaurant kitchen, chose to change his course. Without leaving Rome, but with the goal of setting aside a certain haute cuisine and reviving the Italian culinary tradition. The chef was decided to recreate a place that looked like those he went as a kid, the classic idea of the restaurant-trattoria. 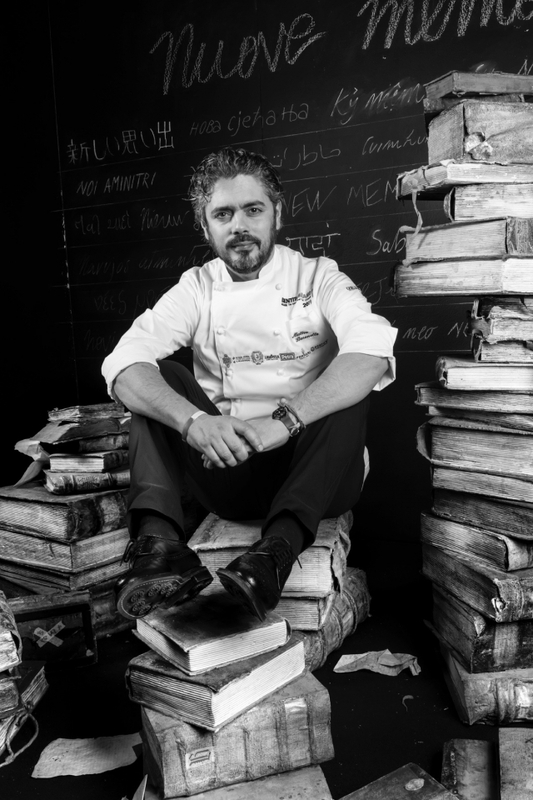 He’s relying on some cornerstones such as fresh pasta, which Monosilio celebrates with his legendary Carbonara, as well as other Capitoline classics and contemporary recipes. His arrival at Identità Golose Milano’s will be an opportunity to sample a strong flavored and immediate cuisine, a joy-generator that triggers past memories. Christian and Manuel Costardi’s story is full of passion and imagination. Using the latter, they envisioned an imaginary restaurant; using the first, they made it true. They set out to reinvent a key ingredient, the symbol of the Vercelli area: rice. Their restaurant, within the family hotel, was the perfect place to grow. 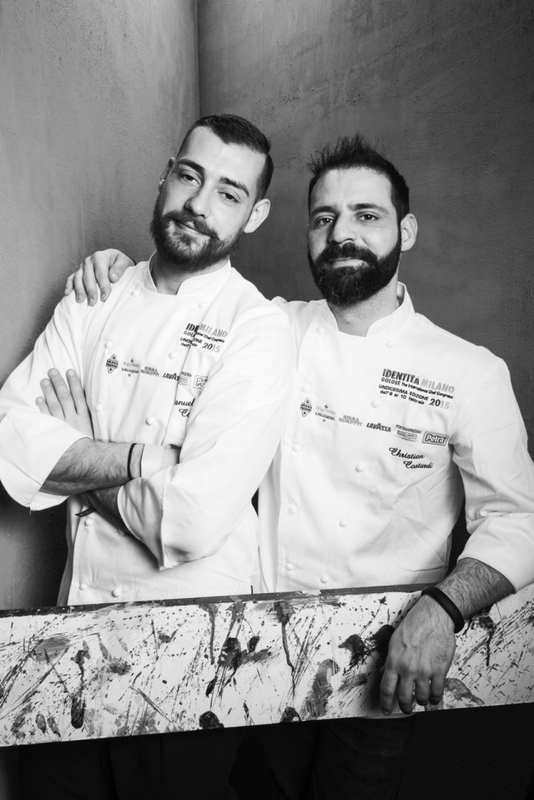 And if within the first few years this couple of brothers, so close yet so different, achieved a nice fame thanks to their delicious risottos, don’t be mistaken: today risotto is not the main – and only – attraction on the menu. The Costardi brothers are a milestone in Italian fine dining, and we are happy to have them for four dinners at Identità Golose Milano. With Josean Alija behind the counter, this night in via Romagnosi will be really unique. 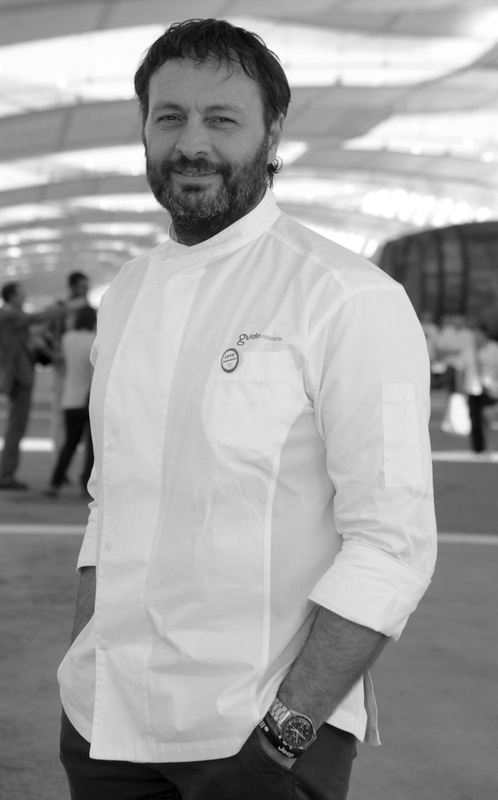 He is one of the most talented personalities in that Basque haute cuisine landscape that has represented a charming culinary avant-garde for years. From the outside, Alija’s cuisine is state-of-the-art as well. He describes it with an Euskadiword, «muina»: a quest for the essence of the Basque spirit. «It means “soul” – says Alija– but “knowledge” as well. One of our goals is to share all the things we’ve been learning in all these years. And we want to really show the soul in our cuisine and in our products». A truly special occasion, even for its menu: 8 courses for 100€ per person (wine not included). We only accept dinner reservations for 8 PM. 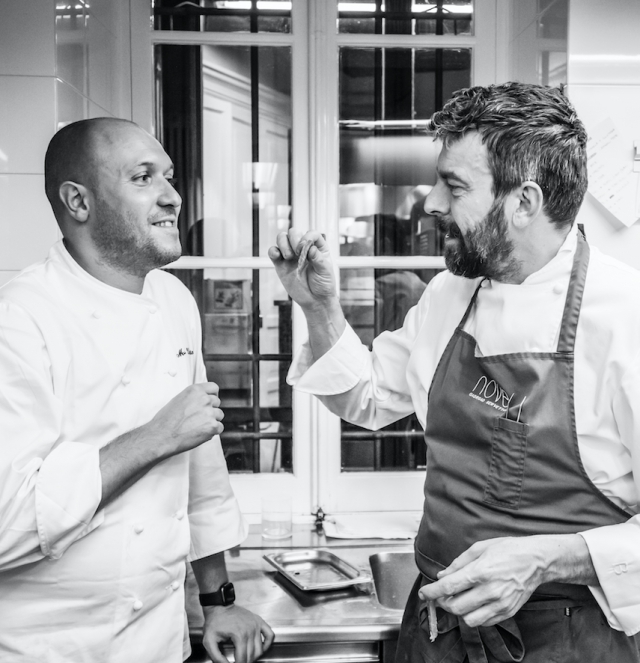 Josean Alija, chef at Nerua Bilbao, and Riccardo Camanini, chef at Lido 84 in Gardone Riviera, are two friends and colleagues who respect each other in a deep way. They certainly are among the most prized haute cuisine personalities in the world, and we are honored to have them for an exclusive night, in a culinary, four-handed conversation. This will definitely be a dinner to remember, even in its formula: 8 courses for 100€ per person (wine not included). We only accept dinner reservations for 8 PM. 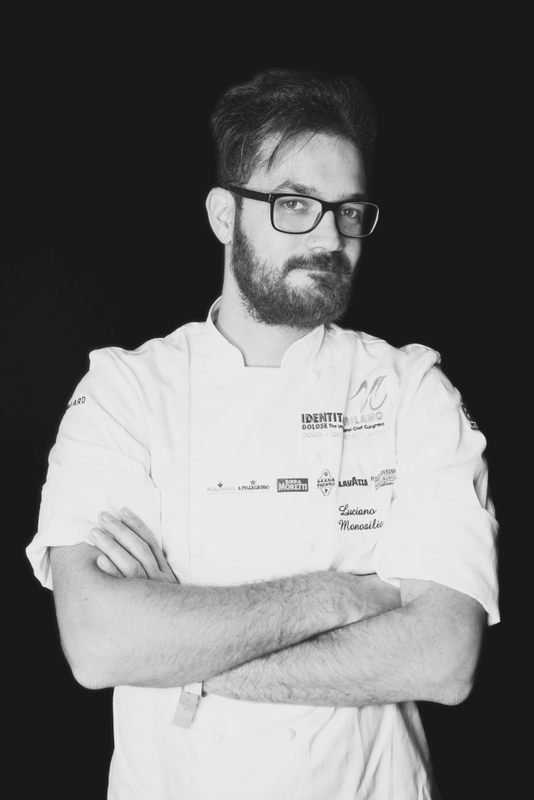 Davide Caranchini is a young chef from Como, he was born in 1990 but has already worked in some remarkable venues. He will be with us in via Romagnosi for just one night. This will be the chance to discover the creative, personal style that gained Caranchini fame and respect when, in 2016, he opened his restaurant in Cernobbio. Gathering everything he learned in his journeys all over the world, between blends, reinterpretations of local products and a key use of the vegetable garden and of wild herbs. While never forgetting that each dish has to be, first and foremost, delicious. For three days we will bring to Identità Golose Milano, under the Madonnina, the scents and the flavors of the Apulian sea. Our chef will be Vito Mancini, from the restaurant Da Tuccino in Polignano, a name that’s a byword for seafood, raw seafood. Its story begins with Tuccino Centrone, then goes on with Tuccino junior (Pasquale, really), who refined its original style. An inspired journey, which had to stop abruptly due to a terrible illness, ALS, that struck Pasquale Centrone. Today, thanks to his determination and his passion and despite all his troubles, he still is the heart of the restaurant. We are really happy to welcome this great story in via Romagnosi. After our fundraising dinner for Food For Soul, Identità Golose Milano devotes another night to a charity event. 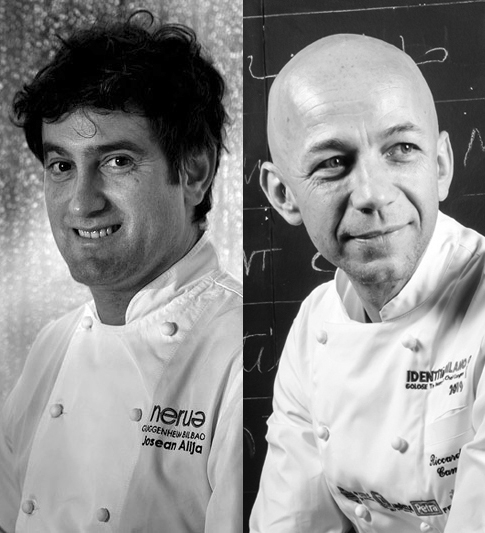 We will have with us two Ligurian chefs: Marco Visciola from the culinary restaurant Il Marin, located within Genova’s Eataly store, and Giorgio Servetto, who runs the kitchen of Nove, a restaurant set in the amazing Villa della Pergola, in Alassio. Our chefs will cook a 6-courses menu for 200€, wines included. All the proceeds, after all costs and expenses, will go to “Quelli del Ponte Morandi”, an organization that represents more than 600 people who were displaced from their homes after the tragic collapse of the Morandi bridge, in Genova, on August 14th, 2018. We only accept dinner reservations for 7:30 PM. For this night, we kindly ask our guests to pay in advance at the time of reservation. 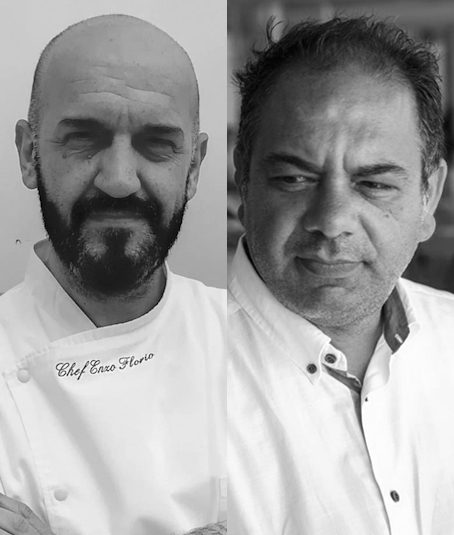 For the second time since the opening of our International Culinary Hub, we are pleased to welcome the chefs of the group Le Soste di Ulisse, which since its founding has always had as a goal, in every instance, the need to promote Sicily and its culinary, artistic, natural, cultural and monumental heritage. 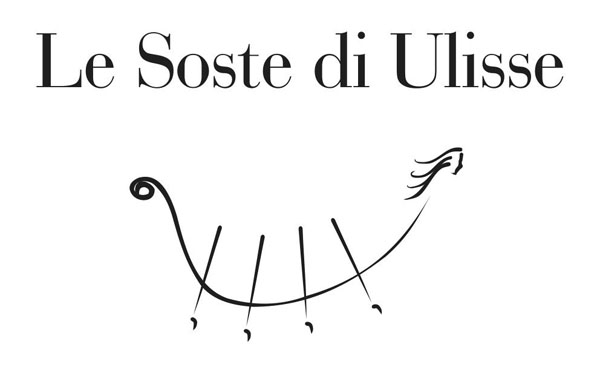 Identità Golose Milano is so proud to have Le Soste di Ulisse for this new dinner, which will bring to via Romagnosi 3, in Milan, four prestigious personalities of the best – and yummiest – Sicily. When we talk about Alessandro Gilmozzi, our minds can only go to the woods of Val di Fiemme, to the scent of smoked food and of mountain herbs. The world of this chef from Cavalese is enclosed in a few square miles, and the ancient windmill which used to take its power from the Rio Gambis, is its beating heart. For more than 25 years, this peculiar workshop has been experimenting, inventing and anticipating. The product of this great, enthusiastic work will be offered to our guests in Milan during four dinners that will allow us to taste the best of natural Alpine culture without moving from the city. He was a pupil of Gualtiero Marchesi and, for many years, has been Carlo Cracco’s right-hand. 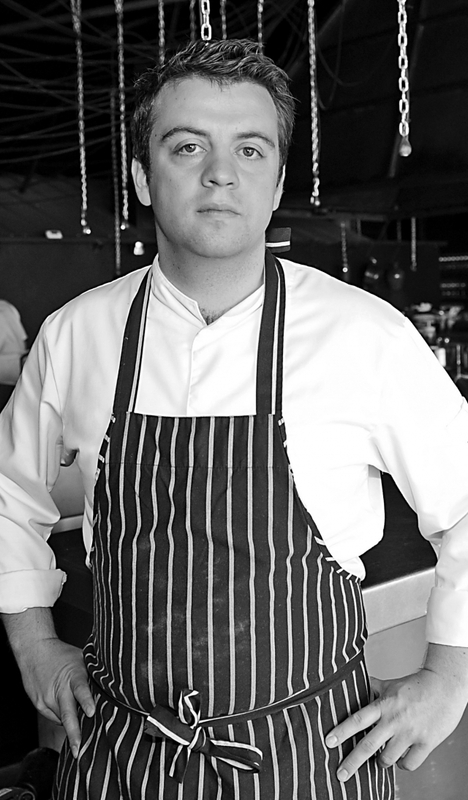 Today, Matteo Baronetto is one of the most solid and creative chefs in Italy. About five years ago, he went back to his Torino to take charge of the kitchen of one of the most ancient restaurants in the world, that same Del Cambio where Cavour always used to have a table booked for him. Thanks to Baronetto, the restaurant experienced a proper Risorgimento, a rebirth: the result of a successful combination of the chef’s modern approach from his previous experiences and the recovery of the present – and past – assets of Piedmontese territory and cooking. This story begins in 1979 with Roland Gauthier, in the tiny hamlet of Montreuil, Pas de Calais: here he decides to open a restaurant, gaining a name for himself in a very short time. 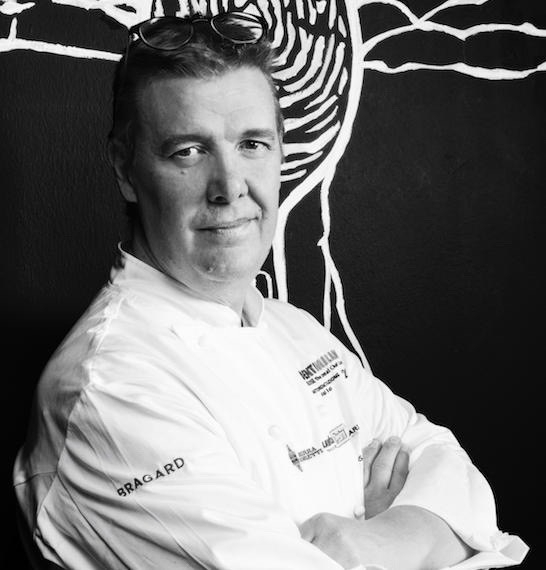 In 2003 his son Alexandre Gauthier inherits the kitchen, and soon throws the family restaurant in the pantheon of French haute cuisine. La Grenouillere’s driving force is the perfect symbiosis between the restaurant and the nature all around it. Gauthier’s culinary approach results in a dedication to the territory which highlights all the products of this area’s thriving flora. 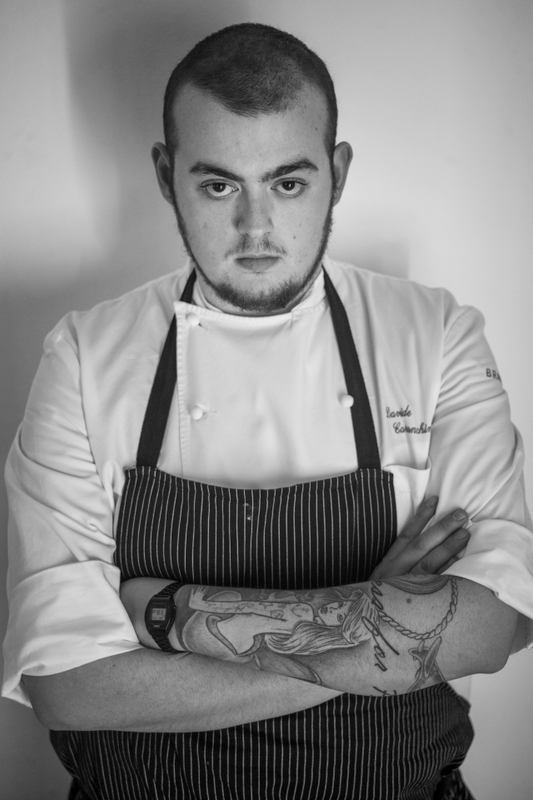 Having him at Identità Golose Milano will be an opportunity to discover these flavors.